Phoebe thought she had her Happily Ever After. She had a beautiful little girl and was married to the man of her dreams. But the unexpected death of her mother causes Phoebe’s world to come crashing down. Confronted with the realization that the missing pieces of her past are lost to her forever, she watches herself morph into a person she no longer recognizes. A person she quickly grows to hate. Barely making it through each day, Phoebe struggles to repress her darkest thoughts. But at night, she is held captive in nightmares from which she cannot escape. 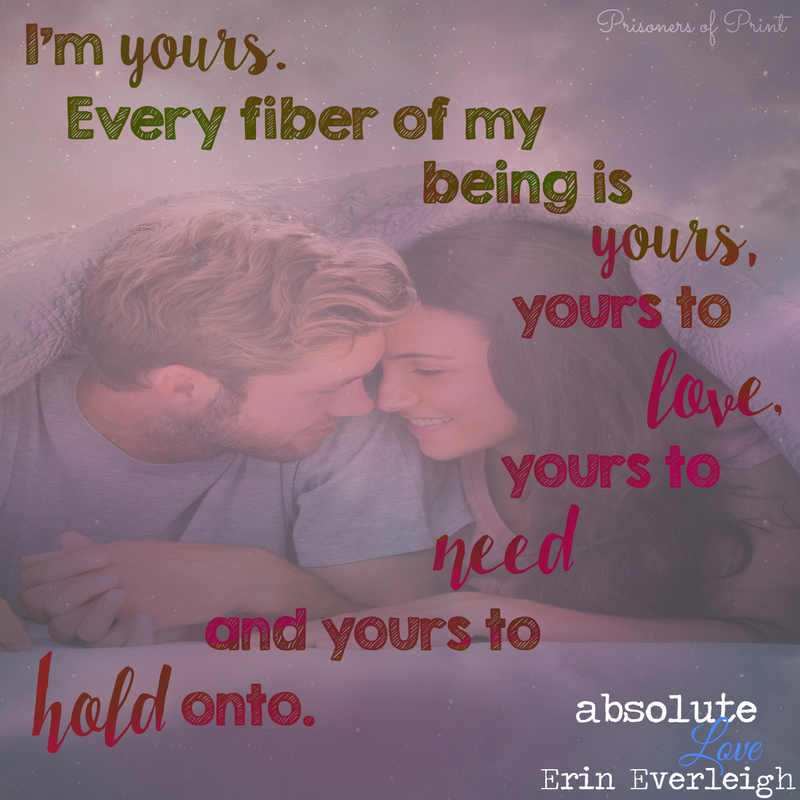 With her marriage dangling by a thread, Phoebe fears a future with Justin may no longer be possible. Refusing to give up, Justin fights for the life they used to share. But when he stumbles upon what could be the missing piece to Phoebe’s past, he is faced with a choice that could cost him everything. When you feel like all hope is lost, is there a love that can transcend all and revive a broken soul? 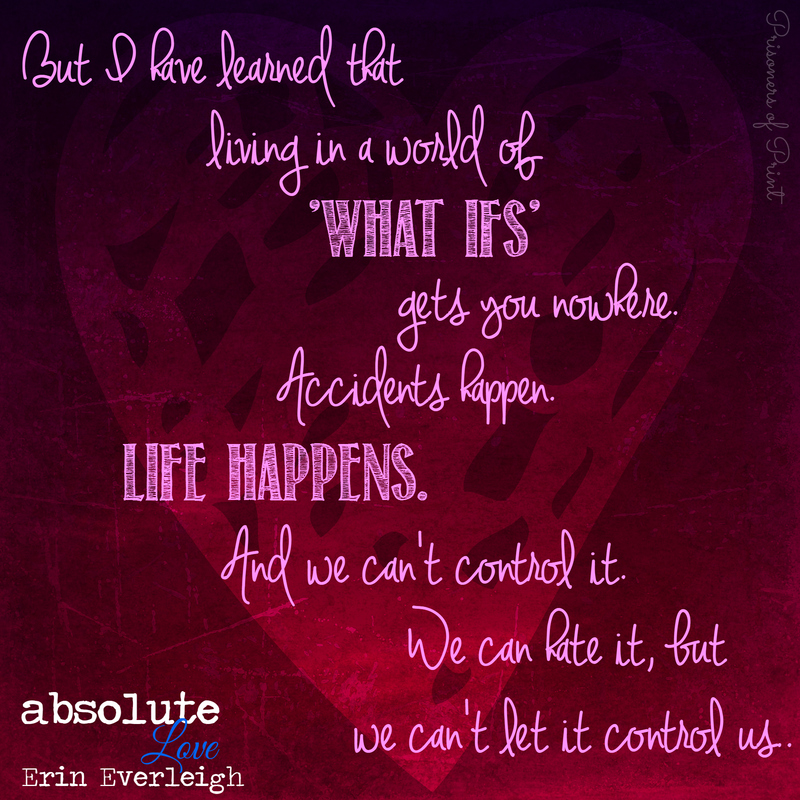 Absolute Love by Erin Everleigh is a book I stumbled on and took an immediate interest in based solely on that stunning cover. When I looked to the synopsis, I was even more intrigued. However, it was what I found within the pages that kept be glued, invested, and aching to see how this story would end. Phoebe has had to adapt throughout her life and adjust, but I never got the feeling that she felt whole. Growing up without a father was hard, but then losing her mother, even as an adult, started to really break her. I could see pieces of courage, bravery, and strength seeping through, but there was always an underlying insecurity. However, that was what completely endeared me to her character. As a reader, we got to see her broken and miserable and have to pick up every last piece of herself. We got to watch this woman time and time again rebuild her life and never give up. Her whole demeanor resonated with me because that’s the lesson I’ve been taught all my life. You never let one thing keep you down…you have to continue to fight. I was very torn when it came to her husband, Justin. I kind of wanted to punch him in the face for leaving when he did, but ultimately I just couldn’t hate him. Readers could see the amazing, compassionate, giving man that he was underneath everything else. Once he realized what it was he wanted, that dedication and perseverance instantly made you start rooting for him. By far, my favorite thing about the book was the incorporation of the dreams. Phoebe kept a dream journal which allowed the transfer of her dreams to the readers’ mind. Although I am by no means a dream analyst, it was fairly easy to decipher what deep rooted issues she was dealing with at any given time. It honestly gave a whole other dimension to the character by providing a deeper insight into the vulnerabilities and insecurities our heroine was facing. Furthermore, they were a fascinating way to see the transformation in characters based on how the content of the dreams changed. Overall, I am incredibly glad that I took a chance on this debut novel. I would have liked some more background on the point of Lucas, although that could be a story for a future book. I also thought the beginning was a little bit slower paced with the ending creeping up on us and then presenting a lot of action. A part of me would have loved to see those events fold over a larger span of time. That being said, Absolute Love is a beautiful story of learning how and allowing yourself to heal. 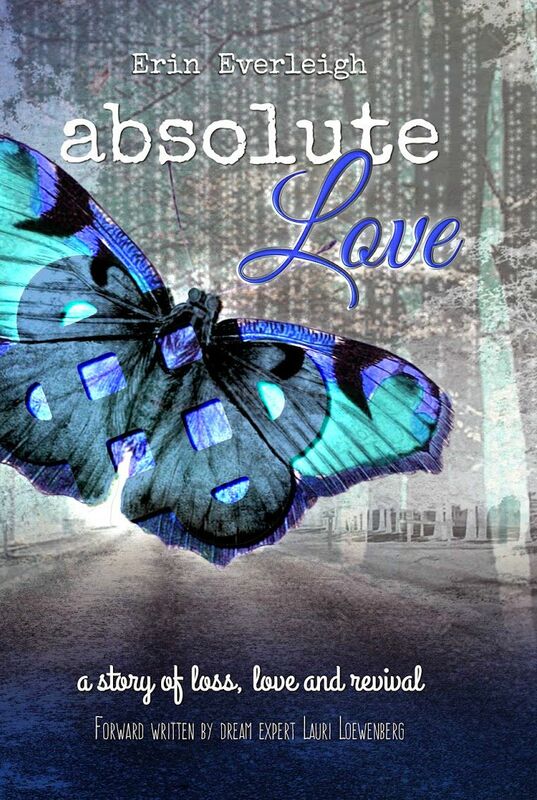 It was a story of not only a romantic love, but one of figuring out how to love and accept yourself, despite any shortcomings you may believe exist in your life. There was some suspense and intrigue as the story progressed and I had the hardest time putting the book down. I can’t wait to see what any subsequent novels have in store for us because it’s quite clear that the overall story has more to be said!